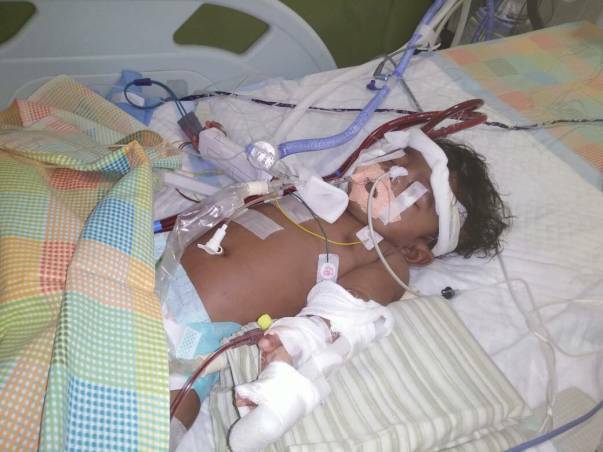 5-month-old Baby Thejas, son of Mr. Nand Kumar has been suffering from Severe Pneumonia and was rushed to the hospital yesterday where he was instantly taken to the ICU. 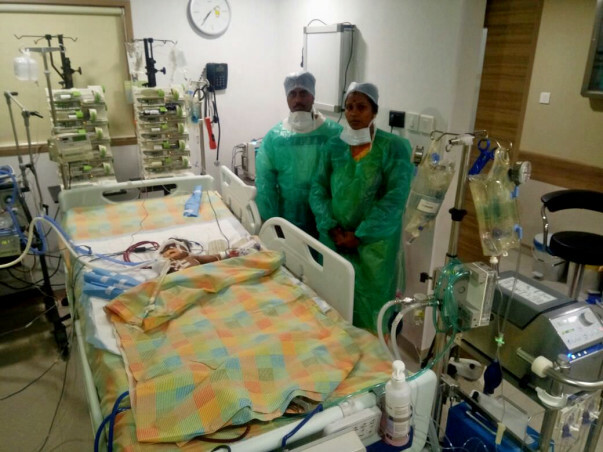 His condition is so critical that he began suffering from severe respiratory problems and is now on artificial lung support till he begins to show signs of recovery. The total cost of his treatment in the ICU is around 20 lakh Rs. Thejas's father is a driver and does not have the funds to support his son's treatment. He is scared that without this money he will lose his son. He needs our support. Your contribution can save Thejas's life. We have some unfortunate news to share. Baby Thejas passed away yesterday (22nd November). His parents are devastated. This tough brave kid fought very hard for his life, however, he succumbed to complications and could not make it. The funds have been utilized for this medical expenses so far and we have spent a lot for his treatment. Please do pray that his soul finds peace and thank you for all the love and support you have shown this little one. Here is a quick update on Thejas's health. 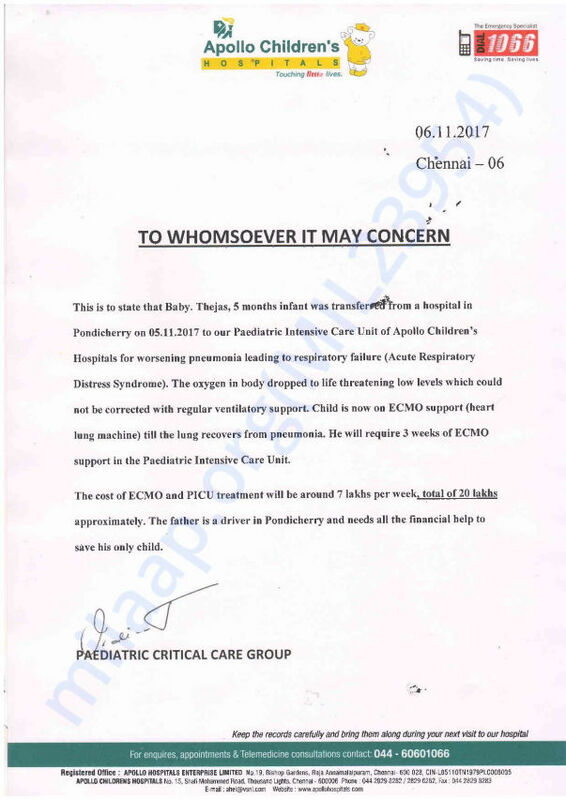 He is still in ECMO and is undergoing treatment. He has developed a new infection and the doctors are administering him treatment for the same. Based on his health, the doctors have suggested that removing him from the ECMO will not be that good an idea at present. He has gained consciousness but they keep him sedated so he does not feel the pain from the needles and other equipment in the ECMO. 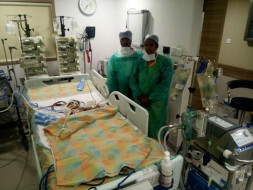 His parents are going from temple to temple to pray to the gods that he comes out of the ECMO soon. Will keep you posted. Thank you for all the support you have shown Thejas. Would request you to please take a minute every day and pray for his health. He needs your blessings and support the most now.